The much raved about Tangle Teezer brush is now in Pakistan thanks to Super Brands International. I got two of these bad boys to test and I thought, 'eh? that looks like a toy. Why was everyone going crazy over this?" Then something even crazier happened . . . This product caught me by surprise. I had serious doubts about a little plastic tool which seems like it's being sold for more than what it "looks" like. So whats is it that makes it a big OMG? Honestly, the actual brand's website doesn't say much about HOW it does it, but, it does it! I have fine, wavy, silky hair so it is always tricky to detangle them. Wet, damp or dry they are a nightmare, no matter how careful I am. I recently got Balayage and then Extreme Ombre in my hair so the hair texture also varies, from root to tip, which actually leads to more tangles! Tough right? 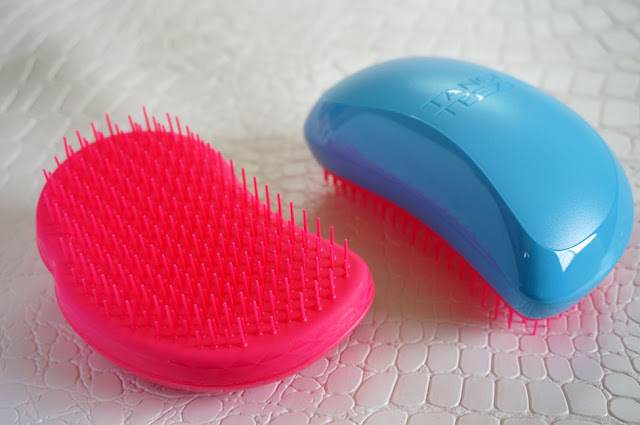 There are several variants of Tangle Teezers; The original, Compact Styler, Salon Elite, Aqua Splash and even one for baby girls called Magic Flower pot. 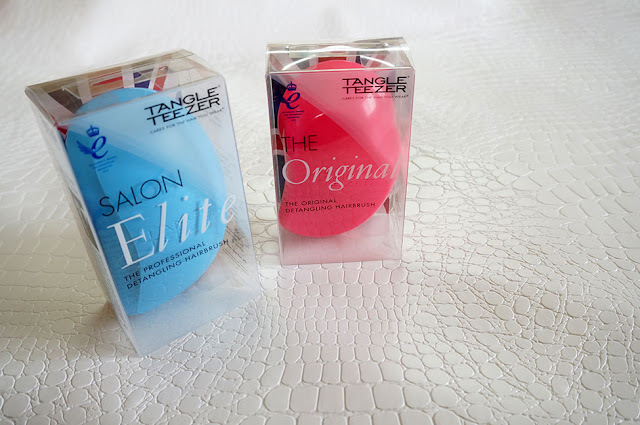 I got two different types of Tangle Teezers to test; the Original and the Salon Elite. Other than the original being pink and the elite being blue pink the only difference, I experienced, was a slightly different shape (unless there is a hidden secret!). You can read about the rest of the variants HERE. I tested both on wet hair, damp hair as well as dry hair. I don't know how it de-tangles, but it was so smooth that I gasped with excitement. 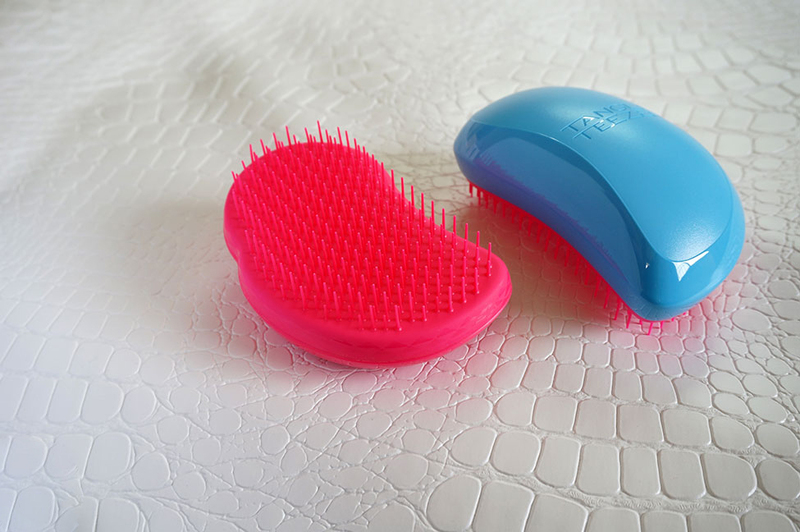 I am seriously in love with this hair brush. Many claim that its the same as a paddle brush but believe me, I have a paddle brush and it ain't no Tangle Teezer. Maybe it's the way the teeth on the comb are laid out, who knows. I am simply amazed by such a simple thing doing so much in no time. the detangling leads to no hair fall or breakage either. It's light, sturdy and made of plastic so you can wash it easily or even take it into the shower (not that I would recommend). 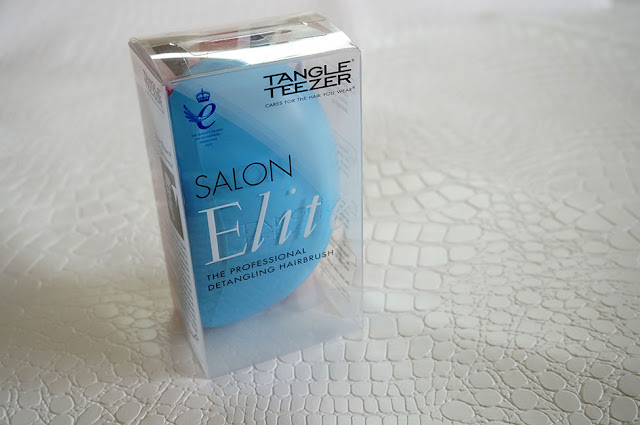 Tangle Teezer Elite from Bianco16 on Vimeo. These de-tangling cuties were just launched so at the moment only available at Amethyst Spa, Karachi but will be available soon in all leading salons in Pakistan. The Original retails at PKR. 1,700/- and the Salon Elite for PKR. 1,850/- For online purchase you can always check their WEBSITE. Looks like an interesting product! :D Thanks for sharing! it is a super cool product!